It doesn't matter whether you are seeking to reinstate your divers license in Florida or are preparing for your very first driving permit, Florida legislators want to make sure you have the knowledge to safely drive the roads. This will likely mean you will have to successfully pass a written test. If you want to make sure you pass the test on the first attempt, you should take a Florida drivers prep course. Whether you live in Miami, Orlando, Jacksonville or Gainesville, all Florida traffic laws are the same. Your Florida drivers prep course should go over traffic laws in the Sunshine State, Florida traffic signs, right of ways, speed limits and defensive driving tactics. You can help yourself study for this test in several ways. Complete an online Florida drivers prep course. Study the official state manual. Improv makes it easy to pass your test on the very first attempt. 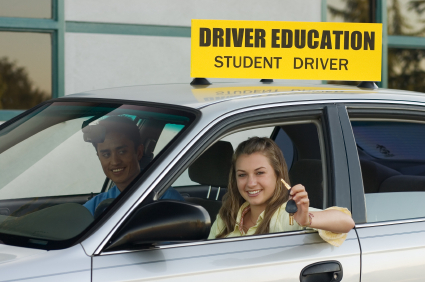 We include all the tools and information you need to pass your test, while actually enjoying taking the course. Who has the right of way in various situations. Safety and vehicle inspection regulations. When to signal lane changes and turns. When you can pass and the meanings of lines in the road. How to recognize and avoid aggressive driving. The dangers of impaired driving and driving while distracted. What to do in an accident. Stopping at the appropriate place. Courses are also available to those seeking to acquire a motorcycle learner's permit and to prepare for a CDL. Florida is a stickler for requiring the appropriate documentation from applicants of driving privileges in the state. Before you head to the DMV office to take your written exam, make sure you have the several forms of identification you will need, as well as one of the accepted forms of payment. You should also call your nearest office and see if they take appointments that will limit your waiting time. When Should You Complete Your Florida Drivers Prep Course? Obviously you need to complete your preparations before taking your written test. This is particularly important for teen drivers looking to become first-time drivers in the state. How Challenging is the Test? If you are properly prepared, you should not have a problem passing the exam. That is the purpose of taking an online Florida drivers prep course. By taking our online course and practicing with actually online tests, you will pass your test and be ready for the next step in gaining your license. You can make passing your written drivers examination test simple, easy and fun with the Improv online Florida drivers prep course. Take the next step in getting your license today!